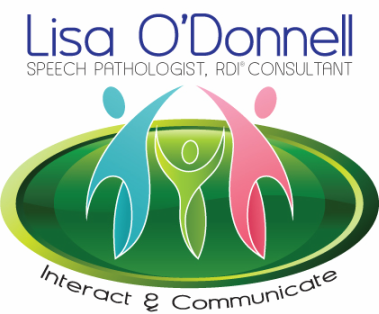 My name is Lisa O'Donnell, I am a registered Speech-Language Pathologist, Certified RDI® Consultant and member of Speech Pathology Australia. I am located on the southside of Brisbane and provide both clinic and home based services to Logan and Northern Gold Coast areas. A speech language pathologist is trained to assess and treat people who have a communication disability, this training encompasses all aspects of communication including speech, writing, reading, signs, symbols and gestures. As a speech language pathologist with experience working with children of all ages, having worked in Queenslands Education and Health systems. My passion is to provide a range of therapies to ensure that children reach their full potential, as such my attendance to numerous training and professional development courses ensures that I remain up to date with Evidence Based Practices. With specific qualifications and experience in the treatment of Autism I use Relationship Development Intervention (RDI®), a family based program that uses the latest research on the brain, developmental psychology and autism for the treatment of autism. The focus of RDI® is to promote and enhance the child’s social and emotional understanding rather than to teach discrete behaviours and skills. Children on the autism spectrum and with other neuro-developmental difficulties miss out on or fail to master many of the early developmental stages that typically-developing children learn effortlessly. RDI® teaches parents to provide treatment that offers their child a second opportunity to master these early developmental stages. I have seen the benefits of RDI® first hand as a parent of child with autism and an RDI® parent for over 6 years I can see the benefits that this training has provided for our family and other families that I support.